30th May, 1381: Thomas Bampton, the king's tax collector for Essex, is chased out of Brentwood by villagers from Fobbing, Corringham and Stanford. 2nd June, 1381: Chief Justice, Sir Robert Belknap and a small party of soldiers are chase out of Brentwood. Two of Belknap's men are captured and killed. 6th June, 1381: Sir Simon Burley's serf, John Belling, is rescued from Rochester Castle. 7th June, 1381: Wat Tyler is elected leader of the rebels. John Ball is rescued from Maidstone Prison. 8th June, 1381: The people of Yalding receive news of the rebellion. 9th June, 1381: Sir John Legge, the king's tax collector for Kent, hears about the rebellion and returns to London. Wat Tyler and the rebels march to Canterbury. 10th June, 1381: The rebels enter Canterbury. The castle and the Archbishop of Canterbury's palace are ransacked. 11th June, 1381: The Kent rebels leave Canterbury and begin their march to London. The marchers break into several manor houses on the way and destroy any documents concerning the feudal system. Imprisoned serfs are set free by the rebels. 12th June, 1381: The rebels from Kent arrive at Blackheath on the outskirts of London. Soon afterwards the Essex rebels arrive at Mile End. Rebels receive new; that peasant rebellions are taking place all over England. Peasants also begin arriving in London from Surrey, Sussex, Suffolk, Norfolk, Cambridgeshire, Buckinghamshire and Hertfordshire. It is estimated that there are about 30,000 people in Wat Tyler's army. 13th June, 1381 (morning): News reaches the rebels that Richard II has left Westminster Palace and gone to the Tower of London. The king's main adviser, John of Gaunt, is in Scotland. Two senior members of the government, Simon Sudbury, the Archbishop of Canterbury and the king's treasurer, Robert Hales, are with the king. Richard talks to the rebels from the Tower by St Catherine's Wharf. Wat Tyler sends a letter to Richard II. The king, who only has an army of 520 men, agrees to meet the rebels at Rotherhithe. The king arrives at Rotherhithe on a barge. The rebels demand that the king's leading advisers, John of Gaunt, the Archbishop of Canterbury, Robert Hales, John Legge, should be executed. The king is unwilling to leave his barge and after a few minutes he returns to the Tower of London. 13th June, 1381 (afternoon): The Kent rebels arrive at the Southwark entrance to London. Supporters of the rebels inside the walls lower the drawbridge. The rebels now enter London. Soon afterwards they set fire to John of Gaunt's Savoy Palace. 14th June, 1381 (morning): Richard II agrees to meet Wat Tyler and the rebels at 8.00 a.m. outside the town walls at Mile End. At the meeting Wat Tyler explains to the king the demands of the rebels. This includes the end of all feudal services, the freedom to buy and sell all goods, and a free pardon for all offences committed during the rebellion. The king immediately grants these demands. Wat Tyler also claims that the king's officers in charge of the poll tax are guilty of corruption and should be executed. The king replies that all people found guilty of corruption would be punished by law. Charters are then handed out that have been signed by the king. These charters give serfs their freedom. After receiving their charters the vast majority of peasants go home. 14th June, 1381 (afternoon): About 400 rebels led by John Starling, enter the Tower of London and capture Simon Sudbury, archbishop of Canterbury, Robert Hales, the king's treasurer and John Legge. Sudbury, Hales and Legge are executed at Tower Hill. 23rd June, 1381: Richard II and his army arrive in Waltham from London. Richard II's announces that he has cancelled the charters that he issued in London on 14th June. 28th June, 1381: King's soldiers defeat Essex rebels at Billericay. About 500 rebels are killed in the battle. 5th July, 1381: William Gildebourne. Thomas Baker and other rebels from Fobbing are executed at Chelmsford. During the next few weeks an estimated 1,500 rebels are executed. 13th July, 1381: John Ball is captured in Coventry and taken to be tried at St Albans. 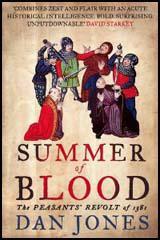 15th July, 1381: John Ball, is hung, drawn and quartered at St Albans. 29th September, 1381: Peasants under the leadership of Thomas Harding make plans to capture Maidstone. 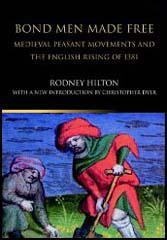 30th September, 1381: Leaders of planned rebellion arrested at Boughton Heath. Later, ten of these men are found guilty of treason and executed.